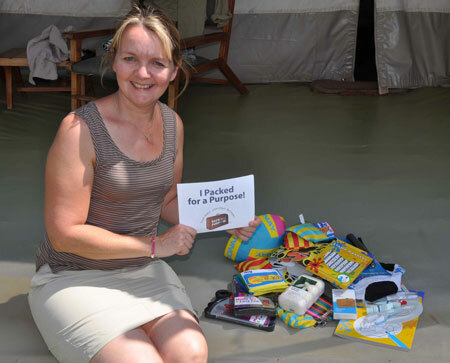 We traveled to Tanzania and Kenya in September with Africa Exclusive who sent a Pack for a Purpose info sheet. We were already scheduled to visit to our sponsored child in Tanzania, so I already had an extra suitcase full of school items to take. As our trip to Kenya involved a light aircraft flight, my luggage was limited to 10 kilograms. I was careful with my selection and only chose the lightest items to take to Kicheche Laikipia. Our daughter works for a zoo in the UK and was given some foam animal masks that the camp manager assured us would go to the local school. I ended up managing to take quite a haul in the end but still came in under the 10 kilogram limit, even with my clothes! Packing for a Purpose such an easy thing to do and really does not take much effort to help. We are looking forward to being able to assist on our next holiday, wherever that might be.